As we prepared our 2017 Color of the Year selection, it became clear that neutrals are beginning a transition from the monochrome grey of the past five years to a more complex taupe and brown. Grey has enjoyed its assent to “favorite” status over the last five years – but 2017 will mark the beginning of a warming trend. 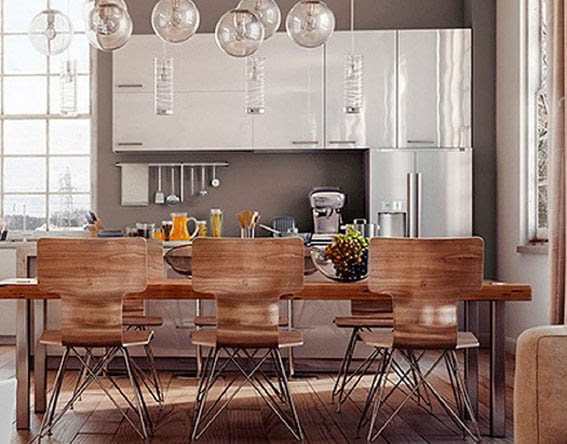 Influences such as natural or organic materials, weathered and worn finishes and global cultural preferences have suggested alternatives to a primarily grey existence. 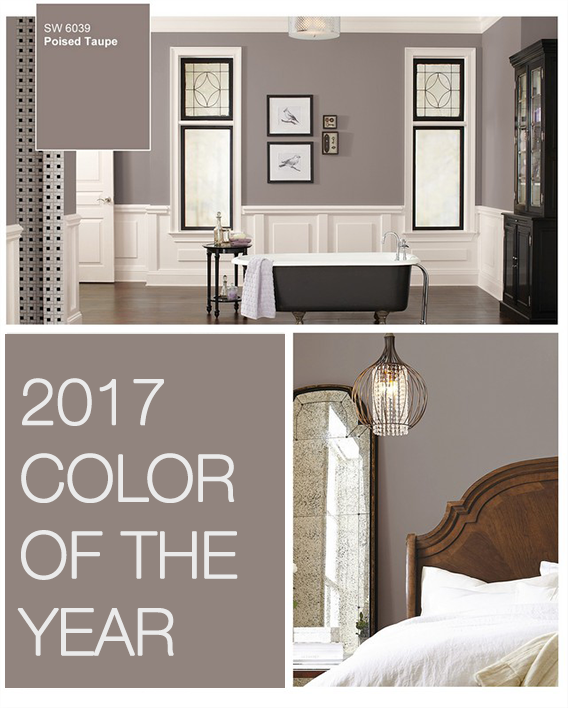 Taken from our 2017 colormix™ forecast – our commercial neutrals showcase the best of 2017, anchored by our Color of the Year, Poised Taupe SW 6039. Our story of taupe is simple. Earthen brown combines with conservative grey and the result is a weathered, woodsy and complex neutral that celebrates the imperfections and authenticity of a well-lived life. In addition to the “warming up” of neutrals in general, 2017 will see several key colors emerge in combination with taupe. Faded indigo and lighter cornflower hues, pair with modern white and Poised Taupe for a charming palette, reminiscent of the French countryside.